Fortaleza is the capital of the state of Ceara which is the poorest state within Brazil's most deprived region (the North East). The principal activity in Ceara is farming, but with continuous droughts and constant crop failure, many farmers are forced to leave their farms and come, with their families, to the capital in search of work, which they very rarely find. Their only option is to live in the Favelas (slums), in houses built from scraps of corrugated iron, pieces of wood or any other disregarded material they can find. It is the children from the poorest of these families that we are helping to feed and educate through our project. We are providing a daily nutritious meal. This is the only meal these mal-nourished children receive. We also provide a basic education for these children, which they are not getting from the state. We have four additional smaller feeding projects in other parts of Brazil. 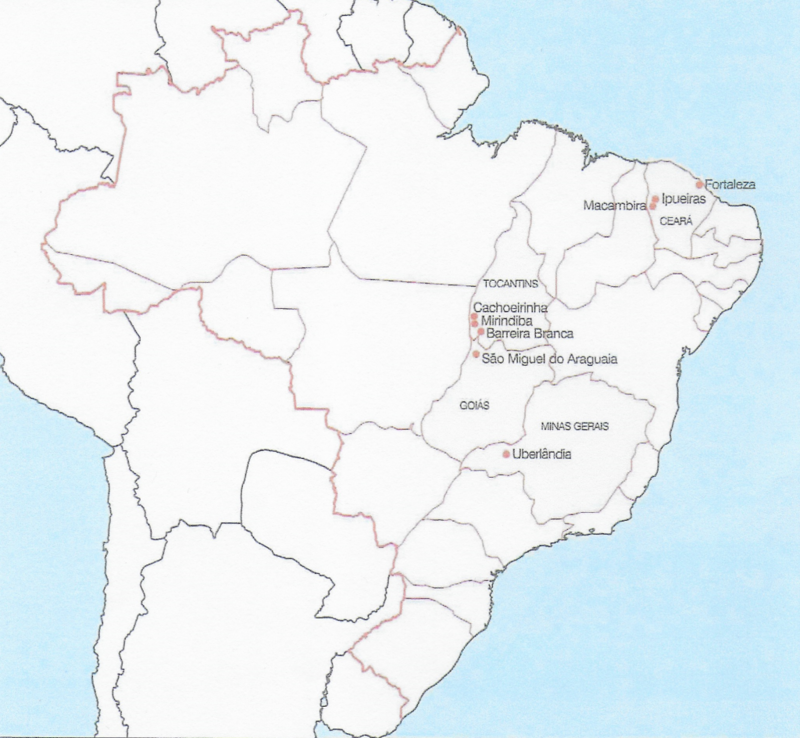 They are in the poor rural town of São Miguel do Araguaia, in the state of Goiás, and in the indigenous village of Barreira Branca, Mirindiba and Cachoeirinha on Bananal Island, in the state of Tocantins. We have provided food for children from the two poor towns of Ipueiras and Macambira in rural Ceará. Due to a lack of funding this project is currently suspended. 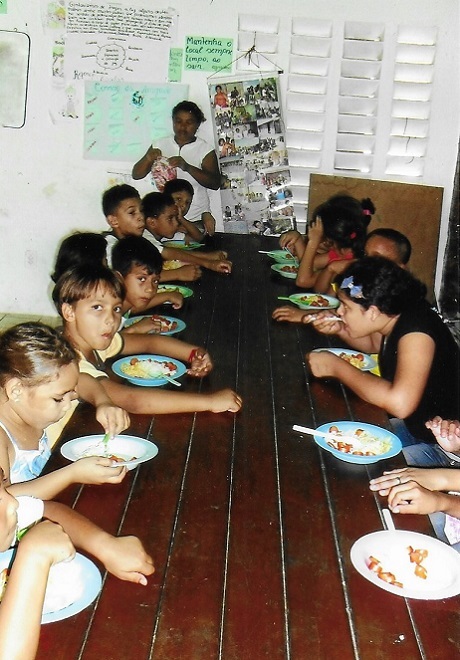 We have supplied food for 60 children from the Celibradade favela in the city of Uberlandia. Due to a lack of funding this project is currently suspended.